Abbas vows: There will be no Israelis in Palestine. 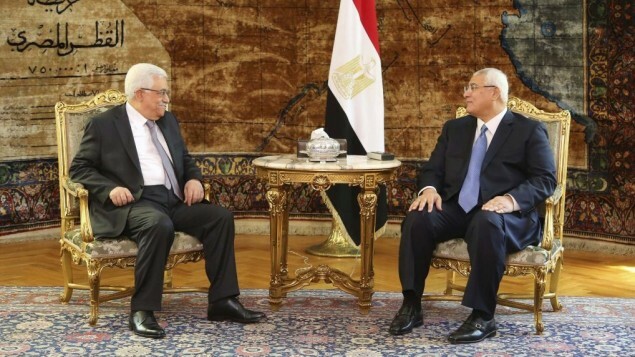 (Washington, D.C.) — “Even as talks for a permanent Israeli-Palestinian peace got off to a cautious start in Washington Monday, Palestinian Authority President Mahmoud Abbas told reporters in Egypt that no Israelis would be allowed to remain in a future Palestinian state,” reports the Times of Israel. “There was a request, ‘We’ll only build here, what do you think?’ If I agreed, I would legitimize all the rest (of the settlements). I said no. I said out loud and in writing that, to us, settlements in their entirety are illegitimate,” said Abbas. As Mideast peace talks begin, Kerry says he is pushing for final deal in 9 months. 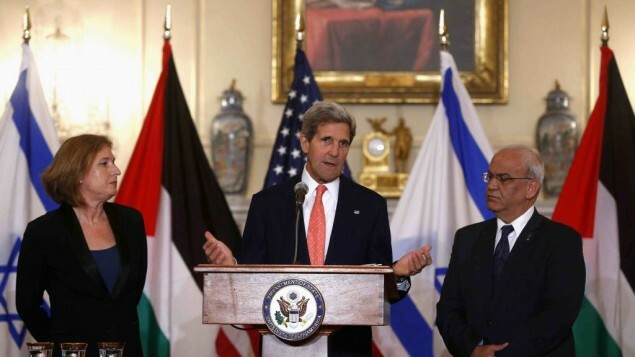 (Washington, D.C.) — UPDATED: The Israeli-Palestinian peace talks are underway. A preliminary meeting was held Monday evening at Secretary John Kerry’s home. Formal discussions occurred Tuesday evening at the State Department. The next round of talks are likely to be held in mid-August in Jerusalem and/or Ramallah. For me, the most interesting development so far is the news that Kerry is pushing for a comprehensive final peace treaty between the two sides within nine months. “Fears of fierce battle within the United Nations General Assembly between Israelis and Palestinians in September was one of the primary reasons for the sense of urgency to renew negotiations between the two sides, a senior White House official said during a press briefing on Wednesday,” reported Barak Ravid of Haaretz. “The Palestinians throughout the course of this year have been making clear that if they couldn’t see progress on the peace front, that their intention would be to seek other elevations of their status, whether at the UN or other international organizations,” said the official. “With this process moving forward, the risk of clash at the UN or elsewhere is reduced or eliminated,” the official said. >> What is the greatest crisis facing the Mideast? Watch 2013 Epicenter Conference messages online, or download our mobile app. 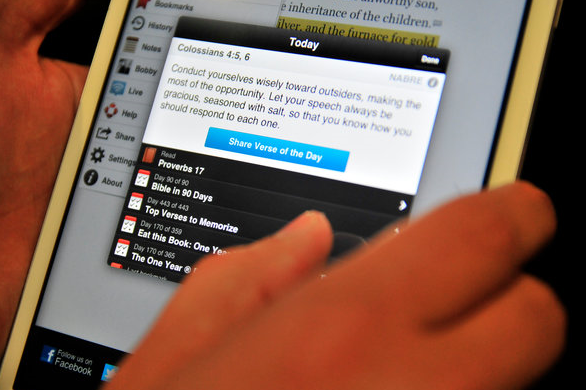 The Power of the Word: YouVersion Bible app now has 100 million downloads, reports NYT. YouVersion Bible app now has 100 million downloads. Wow — amazing — the YouVersion Bible app now has more than 100 million downloads worldwide. I’m one of them. I love reading the Bible on my iPhone. And this is a cool story in the New York Times in how a hunger for the Bible is spreading across the world! Given our recent Epicenter Conference focus on “The Power of the Word” — and messages on people like King Josiah rediscovering the Word of God and being changed by it; and Ezra the Priest reading the Word of God to the people of Israel and the nation being changed by it — I thought you’d like to read about this positive story of how the Lord is using technology to reach people with the message of the Bible. (Edmonton, Oklahoma) — More than 500 years after Gutenberg, the Bible is having its i-moment. “They have defined what it means to access God’s word on a mobile device,” said Geoff Dennis, an executive vice president of Crossway, one of many Bible publishers — from small presses to global Bible societies to News Corporation’s Thomas Nelson imprint — that have licensed their translations, free, to the church…. Here at the church’s headquarters, Mr. Gruenewald wears the same tennis shoes, slouchy jeans and T-shirts that suited him as a Christian rapper and small-time entrepreneur who bluffed his way into building Web sites, then ran a Web hosting company out of his dorm room and later sold a pro-wrestling fan Web site for $7 million…. Netanyahu would give up 86% of West Bank, says deputy FM. Peace talks may start next week. Watch the 2013 Epicenter Conference online. Read Damascus Countdown, the New York Times best-selling novel. Read Inside The Revolution: How The Followers of Jihad, Jefferson and Jesus Are Battling To Dominate The Middle East and Transform The World. To read The Twelfth Imam, a NYT bestseller about the emergence of the Shia “messiah” on earth, please click here. To learn more about the work of The Joshua Fund — and/or to provide a tax-deductible contribution to this work — please visit www.joshuafund.net. To learn more about the Bible prophecies of the “War of Gog & Magog,” please click here. Read Epicenter 2.0, a NYT bestselling non-fiction book about the future of the Middle East. Read The Ezekiel Option, a NYT bestselling novel about the danger of a Russian-Iranian alliance. What is the greatest crisis facing the Mideast? Watch 2013 Epicenter Conference messages online, or download our mobile app. (Washington, D.C.) — Amidst the terrible geopolitical crises in Syria and Egypt — and the nuclear threat growing from Iran — the Middle East faces a far greater crisis: the absolute disconnect between the people and the Word of God. Israel and the Middle East is the land where the Bible was written. Yet most of the people in the epicenter have never read the Word of God. Only 16% of Israeli Jews say they ever read the Hebrew Bible known as the Tanakh (the five books of Moses, the prophets and the writings), according to a sweeping survey of Israeli attitudes towards faith conducted by the Guttmann Institute and the Israel Democracy Institute in 2009. The vast majority of Arab Muslims have never even seen a Bible, much less read one. Is there really any wonder then that if the half billion people in this region don’t know God’s Word, that they are not experiencing His peace, much less peace between nations and ethnic groups? I answer that question directly in my introductory message at the conference — you can watch it by clicking here. Please also watch On Demand video messages of all the other speakers — including interviews with Jewish and Arab leaders — at the Epicenter Conference website. Please also download the Epicenter Conference app for free and watch or listen to the 2013 conference — Anywhere. Anytime. Available at the App Store, Google Play and Windows Phone. “U.S. eases bite of sanctions against Iran,” reports WSJ. This is exactly what could lead Israel to strike in 2013. 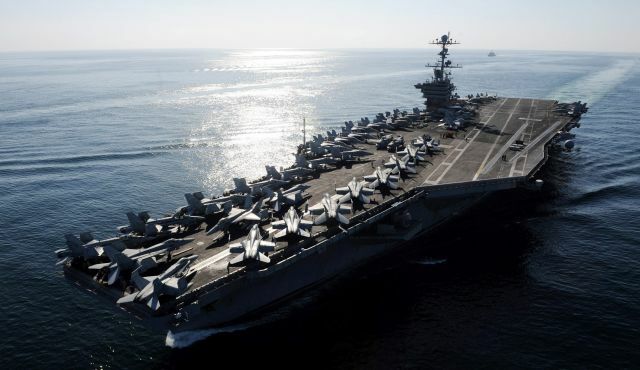 Is the U.S. making Israeli strike on Iran in ’13 more likely? Specifically, I noted that Israeli officials “want the U.S. and other world powers to intensify economic sanctions and all other measures necessary to force Tehran to abandon its nuclear plans, give up its enriched uranium, and shut down its enrichment facilities. But they are deeply concerned that the so-called ‘election’ of Hassan Rouhani — widely but wrongly perceived to be a ‘moderate’ and a ‘reformer’ — will cause officials in Washington and elsewhere to lower their guard and actually ease up pressure on the Khamenei regime, rather than crack down harder.” If that happens, I noted, such easing up on Iran is exactly what could lead Israel to feel forced to go it alone and launch a massive preemptive strike against Iran’s nuclear facilities in 2013, in a scenario not unlike what I wrote about in my novels, The Tehran Initiative and Damascus Countdown. Less than two weeks later, we are seeing evidence that the Obama administration is moving in exactly the wrong direction. While Congress wants to ratchet up the Iran sanctions and make them tougher, the White House is actually strongly resisting such efforts. The President wants to ease up on the sanctions in hopes of engaging with Iran’s new regime. In other words, President Obama is taking Iran’s bait. And this could push the Israelis to war sooner rather than later. “U.S. Eases Bite of Penalties Against Iran — White House, Seeking to Improve Ties With New Leader in Tehran, Lifts Curbs on Medical Supplies, Agricultural Products,” reads a Wall Street Journal headline. The Obama administration, seeking to improve relations with Iranian President-elect Hasan Rouhani, eased restrictions on medical supplies, agricultural products and humanitarian aid entering the heavily sanctioned country. The Treasury Department’s announcement Thursday was viewed by many Iran-watchers as a gesture of good will from Washington as it seeks to restart talks with Tehran over its nuclear program once Mr. Rouhani enters office next month. However, the White House is clashing with Congress, where a bilateral group of lawmakers is seeking to tighten the sanctions, say U.S. officials and Capitol Hill staffers. Their proposed legislation would significantly toughen financial penalties on Iran by targeting the country’s oil exports, ships and banks by October, in an effort to convince Tehran to halt its nuclear program. Secretary of State John Kerry and other U.S. officials have been advising Congress to give the administration more time to pursue negotiations with Mr. Rouhani before further tightening the financial noose on Iran. Mr. Rouhani, who succeeds President Mahmoud Ahmadinejad, is seen as a relative moderate and has pledged to try to improve relations with the West. This is a serious and potentially tragic mistake by the President and his team. But this is exactly what Israeli leaders have feared, and expected. To be clear: I’m not saying war will definitely come in 2013. For my part, I continue to pray for peace, even as I — and my colleagues at The Joshua Fund — prepare for war and other national crises in the epicenter. 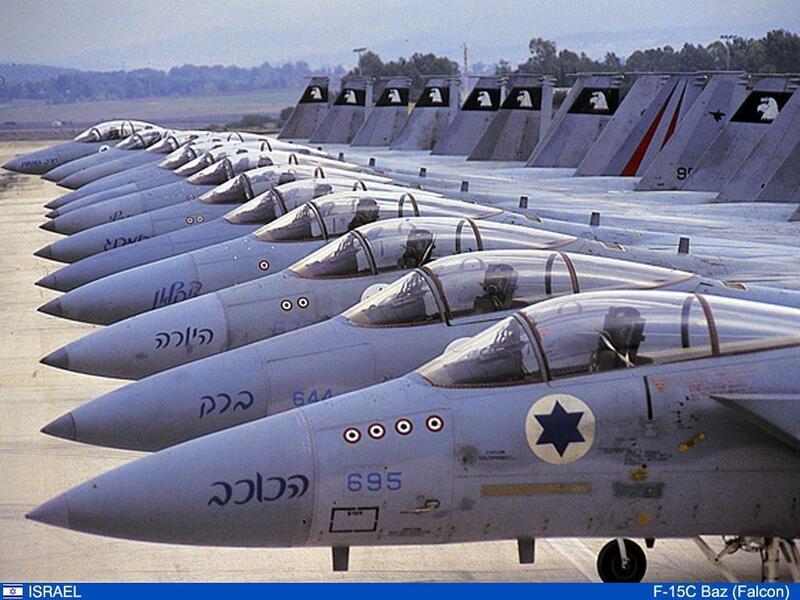 We should be grateful a major regional war between Israel and Iran hasn’t occurred yet. It could be devastating. Hopefully, the regime in Iran will fall. Perhaps sanctions and/or diplomacy and/or covert operations will make war unnecessary. But I believe it is important to be honest with you about what I’m hearing and keep you informed. Please pray for peace in Syria, and in Egypt, and in Israel. Please pray for U.S., Israeli and other leaders to have wisdom to know just what to do. Please pray for Christian leaders in the region to have courage and wisdom. Please pray that all the people of the epicenter develop a deep hunger to read the Bible and discover the power of God’s Word, as we discussed in the recent Epicenter Conference. Please pray for The Joshua Fund team and me to be able to keep providing food, medical equipment, and other humanitarian relief supplies for the poor and needy now, while also preparing for the crises that may lie ahead. Iran, Hezbollah are actively moving to take over Syria, says new Israeli report. 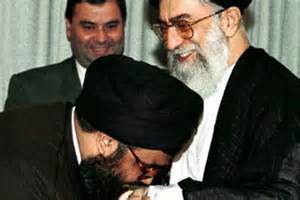 Hezbollah leader Sheikh Hassan Nasrallah kissing the hand of Iranian Supreme Leader Khamenei. Together, they are plotting a takeover of Syria says a new Israeli report. (Washington, D.C.) — A new analysis by an Israeli national security think tank argues that Iran not only sees Syria as strategically vital to the mission of the Islamic Revolution in the Middle East, and is determined not to let it fall into enemy hands, but is thus actively planning to take over the nation of Syria and effectively make it part of sovereign Iranian territory. The report, “Iran’s Plans To Take Over Syria,” suggests upwards of 150,000 troops from Iran, the Hezbollah terrorist movement in Lebanon, and some Shia forces from the Gulf states, are involved in the take over. The report was written by retired IDF Brigadier General Dr. Shimon Shapira and was recently published by the Jerusalem Center for Public Affairs. Has the end game begun? Privately, senior Israeli officials now warning Iran war could come in 2013. 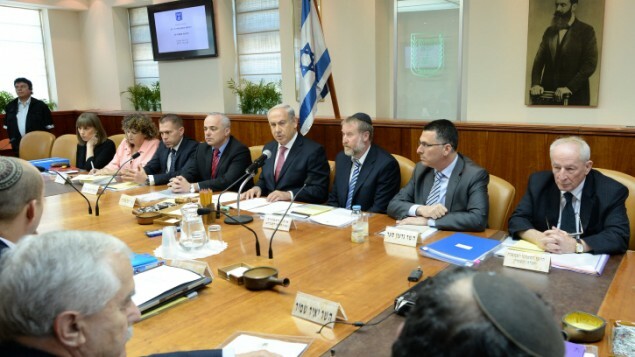 Netanyahu preparing public. Putin heading to Tehran to strengthen Russian-Iranian alliance. A look back at his historic 2007 trip. (Washington, D.C.) — On August 3rd, Mahmoud Ahmadinejad will officially step down as the President of Iran. He will be replaced by Hassan Rouhani, though the Islamic Republic will still ultimately be ruled by the so-called “Supreme Leader,” the Ayatollah Ali Khamenei. A few days later, the leader of Russia will arrive in Tehran on a formal state visit. He will come to discuss the Iranian nuclear program and to strengthen the Russian-Iranian alliance. It will likely be the first state visit of the new Rouhani regime and it will be interesting to see what comes of it. This will be the second time Putin has traveled to Iran. The first was a two day trip on October 16-17, 2007. I wrote about the historic nature of that trip at the time. It was, after all, the first time a Russian leader had made a state visit to Tehran for the purpose of meeting with Iranian leaders in modern history. It thus raised many questions, including whether we were approaching the fulfillment of the prophecies of Ezekiel 38-39 in which Russia and Iran form an alliance in the “last days” of history to attack Israel. It so happened that I was speaking about such prophecies to officials at the Pentagon and to Members of Congress just days after Putin’s visit. Below I include a reprint of the column I wrote at the time. Washington leaders are asking if unfolding events in the Mideast were foretold in the Bible. We heard sobering, apocalyptic talk from President Bush yesterday. During a press briefing at the White House, the President was asked about Vladimir Putin’s visit with Mahmoud Ahmadinejad in Tehran and the threat posed by this emerging Russian-Iranian nuclear alliance. The President warned that World War III could break out if Iran gets nuclear weapons. As the President was speaking to reporters at the White House, I had the privilege of speaking to a group of military leaders at the Pentagon on what Putin’s historic and unprecedented trip to Iran means, and how Mahmoud Ahmadinejad’s eschatology is driving Iranian foreign policy. The event was off-the-record, meaning I’m not at liberty to share who was in the meeting or any of the specific details. But I can tell you that I gave a condensed version of the same information I’ve been speaking about publicly in recent weeks. I will be speaking on the same topic on Capitol Hill today with a group of Congressmen who have invited me to discuss the latest events with Putin and Ahmadinejad and what they might mean. * To misunderstand the nature and threat of evil is to risk being blindsided by it. A new evil is rising in the world. Ahmadinejad is the new Hitler. Putin is a new Czar. Yet the West seems to be asleep to the implications of this dangerous new alliance. * In September 2005, Ahmadinejad concluded his address to the U.N. by praying that Allah would hasten the coming of the Mahdi. * Ahmadinejad returned to Iran after that speech and told Shia clerics that as he had spoken at the U.N. he had been surrounded by a halo of light, and that for 27 or 28 minutes not a single person in the General Assembly hall had even blinked, so mesmerized were they — he said — but what Allah was saying through him. * In December 2005, Russia signed a $1 billion arms deal with Iran, selling high-speed missiles to the Ahmadinejad regime, on top of billions of dollars worth of other arms, submarines, and nuclear technology in recent years. * In September 2007, Ahmadinejad again spoke at the U.N., as well as at Columbia University in New York City. This time, rather than ending his speeches with a prayer, he began both speeches by asking Allah to hasten the coming of the Mahdi. * For the past two years, Ahmadinejad has been feverishly trying to build, buy or steal nuclear weapons. He has specifically been building alliances with three nuclear powers, Russia, China and North Korea, in pursuit of his genocidal objectives. * Despite the apocalyptic rhetoric coming out of Tehran, the military, political and economic relationship between Russia and Iran has intensified dramatically over the past two years. Putin doesn’t seem bothered by the talk of genocide. Putin and Ahmadinejad have met regularly. Putin’s visit this week to Iran was the first by a Russian leader since 1943. * Putin didn’t meet only with Ahmadinejad in Iran. He also held a summit with the leaders of several Central Asian/Caspian Sea nations and issued a threat to the U.S. not to intervene militarily to stop Iran’s nuclear program. * No one is entirely certain why Putin is building an alliance with such radical Islamic regimes. Russia is certainly making billions of dollars from their arms and nuclear deals. Putin clearly wants to rebuild the glory of Mother Russia. He is becoming a Czar, centralizing power to himself and now saying he will step down as president in 2008 but stay in power as prime minister. 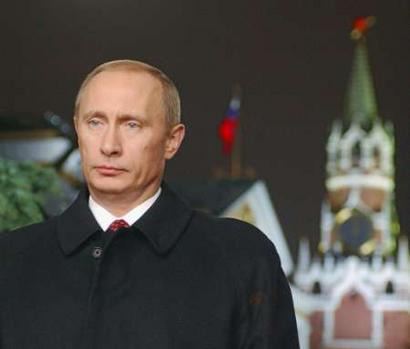 * As an emerging Czar, Putin wants to expand Russia’s borders and influence. But he can’t go West, because NATO is moving East. Putin can’t go East because he borders a nuclear China. He recently claimed sovereignty over the North Pole. But his real opportunity to build a global, anti-Western empire lies to the South. So Putin is feverishly working to build alliances with Islamic and Arab powers, including Iran, Syria, Lebanon, Sudan, Libya, Algeria, and several Central Asian states, as well as Indonesia, the largest Muslim country in the world. * Still, given Russia’s experience in Chechnya, it doesn’t really make sense that Russia would arm radical Islamic nations, or help them go nuclear. * The Bible offers an intriguing clue to what could be happening. In Ezekiel 38-39, the Hebrew Prophet Ezekiel foretold a Russian-Iranian alliance that would form with a group of other North African, Middle Eastern, and Central Asian states in what the Bible calls “the last days.” For most of the past 2,500 years since the prophecy was written, this had never happened. But it seems to be happening now. * No one knows exactly when these prophecies will be fulfilled in their entirely. I certainly do not. My 2005 political thriller, The Ezekiel Option, was a fictional look at how these prophecies might play out, if they were to play in my lifetime. Epicenter is a non-fiction look (both the book and the documentary film) at these prophecies and the current dynamics in Russia, Iran and the rest of the region. It considers the possibility that we might actually be closer to the fulfillment of these prophecies that anyone in the political, business or media worlds has expected. * One curious development worth noting: Ezekiel 36 and 37 have already come true in our lifetime. These are the famous prophecies that say that in the end times, Israel will be reborn as a nation, Jews will pour back into the Holy Land after centuries of exile, they will make the deserts bloom, they will rebuild the ancient ruins, and have an “exceedingly great army.” Since these dramatic events have already happened, it begs the question: Could Ezekiel 38-39 — what Bible scholars call the “War of Gog and Magog” — also come true in our lifetime? This remains to be seen. But current events are raising lots of intriguing questions. As I write in Epicenter, I am not trying to persuade people that these events are coming to pass soon. I’m trying to raise awareness of the threats we face as Americans, the threats our friends in Israel face, and the threats that everyone in the “epicenter” faces — Jews, Muslims and Christians alike. I’m trying to make people aware of prophecies that intrigue me personally, and that may have relevance for our time. And I’m trying to motivate people to do more to care for the needs of the suffering and threatened people of the epicenter, specifically through the work of The Joshua Fund, the non-profit group that Lynn and I launched last year. While I cannot say whether people in the Pentagon or Congress or the White House share my views, I am both intrigued and grateful that they are interested and have invited me to share my perspective. Damascus Countdown? White House about to use military force in Syria. That would be a catastrophic mistake. The focus should be Iran. >> Upcoming speaking events in Colorado, the Adirondacks and New York. Please register now. (Washington, D.C.) — The countdown to U.S. intervention in the mess in Damascus appears to be nearing the zero hour. The Obama administration is actively considering using military force to bring down the Assad regime in Syria. Specifically, the White House and Pentagon are analyzing the idea of running a 24/7 “no-fly zone” over Syria, as well as training and arming rebel forces to defeat the Assad forces. But the costs would be high — upwards of $1 billion a month — and might not even be successful. In my view, active U.S. military involvement in Syria would be a catastrophic mistake. I feel terrible for the bloodshed and carnage going on inside Syria. But tragically I see very little that the West can do to actually make the situation better. Who exactly would we arm and assist? We’re talking about a civil war that is pitting Shia radicals (Assad’s regime, Iran and Hezbollah) against “the rebels,” most of whom are Sunni radicals (including al Qaeda and Muslim Brotherhood forces). I don’t want any of them to win. Are there small numbers of rebels who might be better if they could really come to power? Perhaps. But the fact is they have very limited chances of getting to the top of the greasy pole. Indeed, if the wrong people seize control of Syria, the situation for the Israel, Jordan, Lebanon and the West could actually become much worse. Syria is imploding. It is increasingly possible that the geopolitical state we call the Syrian Arab Republic will cease to exist in the not-too-distant future. We can and should help with humanitarian relief. We can and should show mercy to those fleeing for their lives. We can and should help the persecuted Christians, and pray actively and consistently for peace and stability. But I don’t think the U.S. government or any Western power should stick its hand into that hornet’s nest. Our highest priority should be stopping Iran from building nuclear weapons. Period. Still, the White House appears to be readying the military for U.S. intervention, and some Republicans in Congress are encouraging them along these lines. “The Pentagon has provided Congress with its first detailed list of military options to stem the bloody civil war in Syria, suggesting that a campaign to tilt the balance from President Bashar al-Assad to the opposition would be a vast undertaking, costing billions of dollars, and could backfire on the United States,” reports the New York Times. The list of options — laid out in a letter from the chairman of the Joint Chiefs of Staff, Gen. Martin E. Dempsey, to the chairman of the Senate Armed Services Committee, Carl Levin of Michigan — was the first time the military has explicitly described what it sees as the formidable challenge of intervening in the war. It came as the White House, which has limited its military involvement to supplying the rebels with small arms and other weaponry, has begun implicitly acknowledging that Mr. Assad may not be forced out of power anytime soon. General Dempsey, the nation’s highest-ranking military officer, provided the unclassified, three-page letter at the request of Mr. Levin, a Democrat, after testifying last week that he believed it was likely that Mr. Assad would be in power a year from now. Those last four words represent a subtle but significant shift in the White House’s wording: an implicit acknowledgment that after recent gains by the government’s forces against an increasingly chaotic opposition, Mr. Assad now seems likely to cling to power for the foreseeable future, if only over a rump portion of a divided Syria. That prospect has angered advocates of intervention, including Senator John McCain, Republican of Arizona, who had a testy exchange with General Dempsey when the general testified before the Armed Services Committee about why the administration was not doing more to help the rebels. The plan to supply the rebels with small arms and other weaponry is being run as a covert operation by the Central Intelligence Agency, and General Dempsey made no mention of it in his letter. On Monday, Representative Mike Rogers, a Michigan Republican who heads the House Intelligence Committee, said that despite “very strong concerns about the strength of the administration’s plans in Syria and its chances for success,” the panel had reached a consensus to move ahead with the White House’s strategy, without specifically mentioning the covert arms program. Senate Intelligence Committee officials said last week that they had reached a similar position…. In his letter, General Dempsey assessed the risks and benefits of different military options. But his tone was cautionary, suggesting that the Pentagon views all of these options with trepidation. Training, advising and assisting opposition troops, he wrote, could require anywhere from several hundred to several thousand troops, and cost about $500 million a year. An offensive of limited long-range strikes against Syrian military targets would require hundreds of aircraft and warships and could cost billions of dollars over time. Imposing a no-fly zone would require shooting down government warplanes and destroying airfields and hangars. It would also require hundreds of aircraft. The cost could reach $1 billion a month.